In other words, you either lacked fitness or form (too slow), or tactical acumen (too dumb). 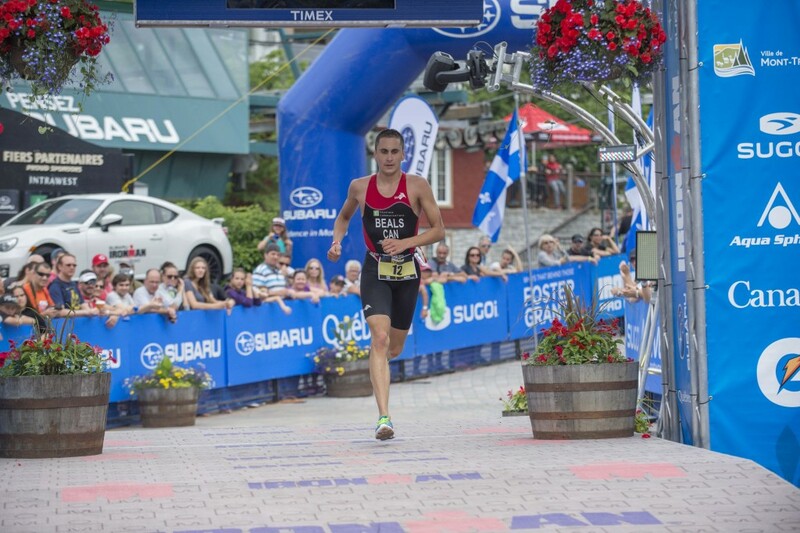 On the heels of my win the weekend before at Ironman 70.3 Eagleman, my race at Ironman 70.3 Mont Tremblant was humbling. I wanted another opportunity to run shoulder-to-shoulder with Lionel Sanders, but I had to settle for sixth against the stacked field. In short, I gambled and lost on the bike, banking on better form and different race dynamics than I found. I drew some valuable lessons from this tactically rich race, which I’ll deconstruct and share with you. There’s a fine line between analysis and excuse making, so I’ll be crystal clear: I was too slow and I was too dumb, but not too dumb to learn from my mistakes! 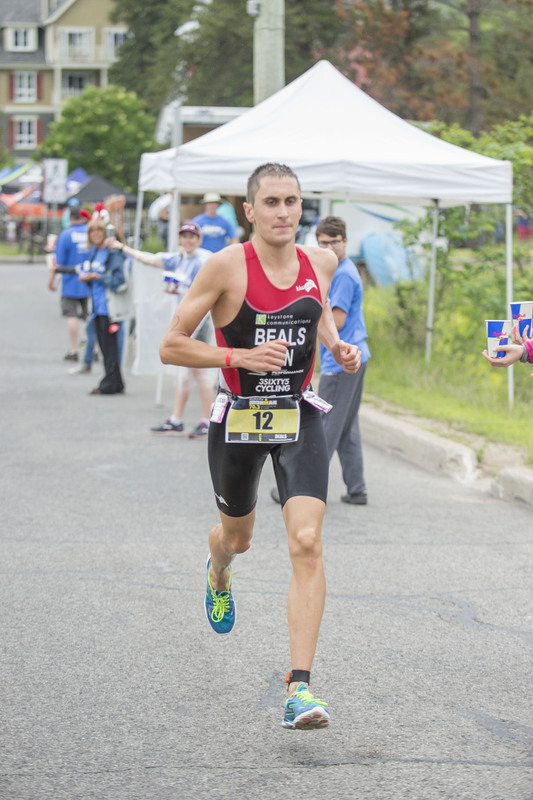 My first misstep may have occurred seven days before Mont Tremblant at Eagleman. After all but locking up the win on the bike, I hammered out a race-best run split in the heat to win by over 10 minutes. Was that necessary? No. Do I regret it? Not really. 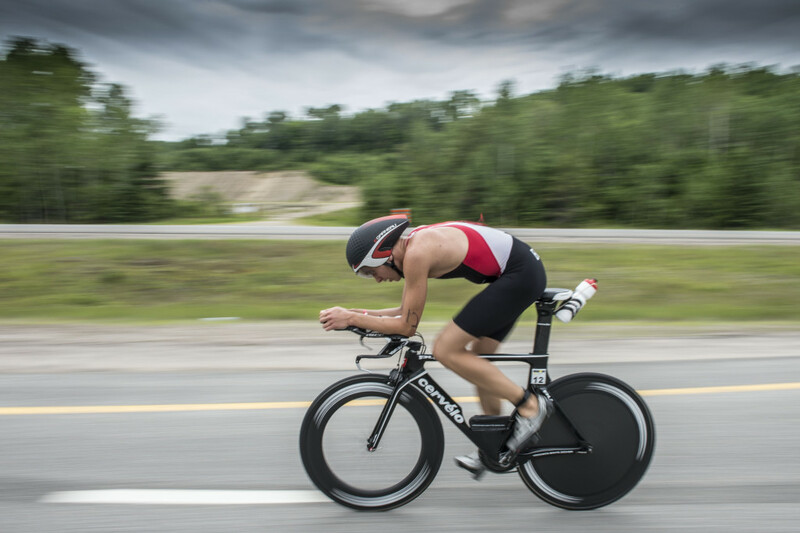 It was a thrilling way to win my first 70.3, but not the smartest move with a high priority race the following weekend. 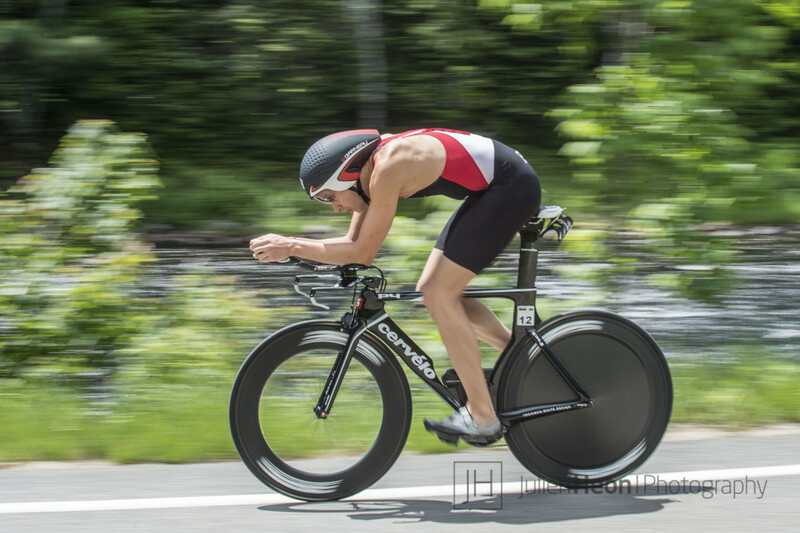 The day after Eagleman, I powered through a 12 hour solo drive home on a few hours of sleep. That day was a write-off in terms of recovery that left me feeling like a zombie until Wednesday. My first win also brought more excitement and attention than I’m used to. After a few days at home with too much screen time and not enough sleep, I was back on the road to Mont Tremblant. The 36 hours before the race were a whirlwind of photo shoots, sponsor meetings, a TV interview and an expo appearance, on top of my usual taper workouts. This was quite a contrast with the low-key week between New Orleans 70.3 (4th) and Texas 70.3 (3rd). All these commitments are part of being a professional triathlete, but I’m still an amateur when it comes to managing them (i.e. I was too dumb)! At the canon, a couple dolphin dives and a clean sprint put me in a great position. 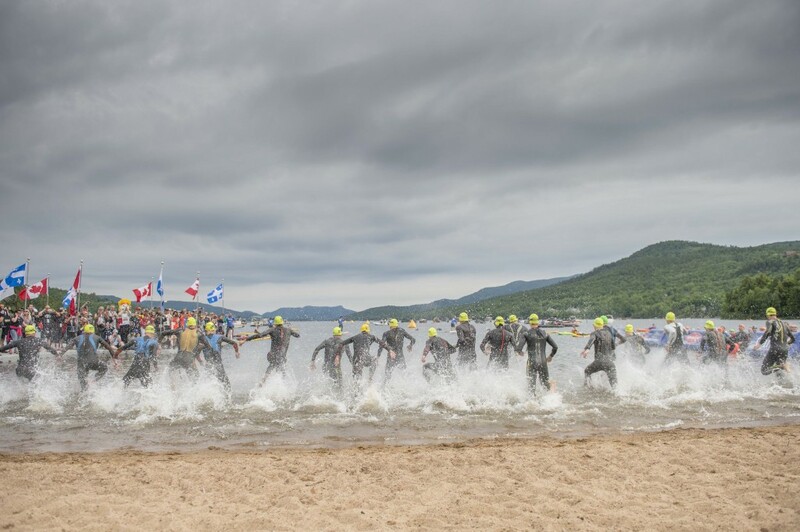 I swam near the front before finding Paul Ambrose’s feet, only giving up significant time to Jimmy Seear and Canadian up-and-comer Antoine Jolicoeur Desroches. By now, I’m no stranger to the pace variability and violence of pro swimming. In the closing stretch, I took a hard kick to the face, filling my goggles with water and disorienting me enough to lose contact with the front pack. I exited the water within seconds of all the contenders and pelted up the long red carpet to transition. Hold off race favourite Lionel Sanders for as long as possible and make him work to overcome his deficit out the water. Avoid pulling other athletes as I have in the past, especially strong runners. I started at the back of a pack of six, including Paul Ambrose, Tyler Butterfield, Jesse Thomas, Taylor Reid and Richie Cunningham. With this long line of athletes right at the legal spacing, I had to wait for openings and strike quickly to avoid a penalty for illegally “slotting in”. With Lionel on the hunt, the pace seemed frustratingly slow at times. I eventually took the lead at 14 km, telling Jesse that we needed to keep the pedal to the metal as I passed him. I knew that Jesse would be tough to drop and I imagined a scenario in which we broke away and traded leads to hold off Lionel; a temporary alliance between rivals. After a brief and breathless interview with a camera crew on a motorcycle, a shoulder check showed that the front pack was still strung out behind me. The time had come to make a pivotal decision. Do I play it safe, let Lionel catch us and sit in the pack, or do I try to fracture the front pack with an attack? I rode conservatively at New Orleans 70.3 and Texas 70.3 and was left with a tinge of regret, wondering what could have happened if I had gone for it. I chose a climb at 31 km and put in a surge that I had rehearsed again and again in training: fifteen seconds at 500 watts and a minute at 400 watts before settling back down to threshold. At the 33 km turnaround, I surveyed the damage. Jesse was still with me, but a small gap had opened to the rest of the group! I yelled some encouragement at Jesse and he took the lead. Then, with a sinking feeling, I saw Lionel powering up to the turnaround, no more than one minute down. When he eventually caught us, I was dismayed to see that he was pulling the entire group that we had worked so hard to drop. #@$%! Lionel attacked on a long climb at the 50 km mark, requiring 5 minutes around 350 watts to maintain contact. It was then that I realized that I was in for a rough day. From 70 to 80 km, I slipped through the front pack and off the back, watching helplessly as my power numbers plummeted. The last 10 km were about 70 watts under target power. I came off the bike in wretched shape, feeling dizzy and weak, almost as if the 800 calories I had consumed had been nothing. The dynamics of this ride underscore just how hard it is to break away from a pack that is exploiting the legal 12 meter draft zone, something I still didn’t fully appreciate. Comparing notes with Lionel after the race, he was also frustrated that even his soul crushing surges failed to gap the field. I don’t resent athletes who exploit the existing rules to their advantage by sitting in the pack and conserving energy; that’s just smart racing. However, I do feel that a larger draft zone for professionals (e.g., 20 meters) would produce a more interesting race and a purer test of individual ability. I have never started a run with lower expectations. I did my best to banish this negativity take it one kilometer at a time. I realized that by some minor miracle, the crescendo of misery on the bike had ended in transition. I wasn’t in for a fast foot race, but it would be far from the death march I was dreading. I crossed the line without feeling a hint of the previous week’s elation, but hungrier than ever. Congratulations to my countrymen Lionel Sanders and Taylor Reid on their very impressive races. My super chill travel partner, first year pro and full-time dad/paramedic, Derek Lantz. 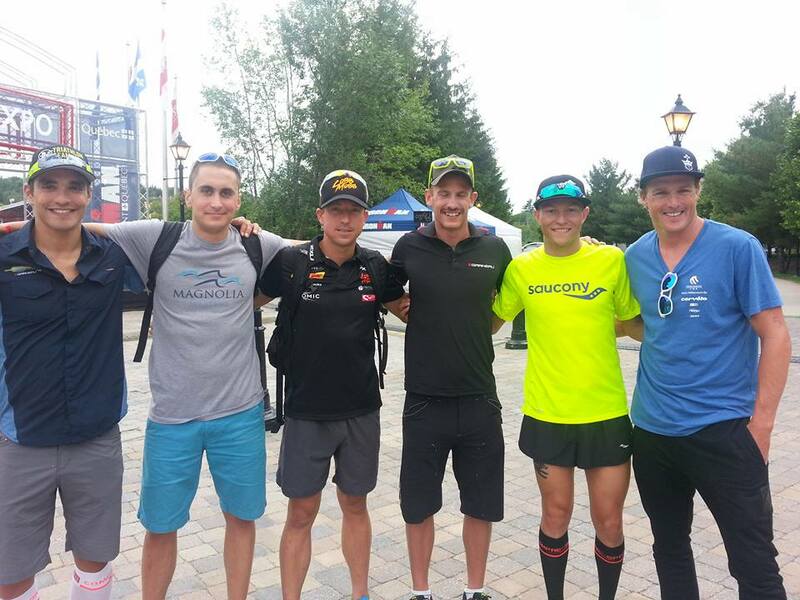 The race organizers and volunteers who make ‪#IM703MT‬ a world-class event.